Verizon has been known as an enemy of timely software updates for many years—centuries maybe, I haven't been keeping track. That makes today quite unusual. 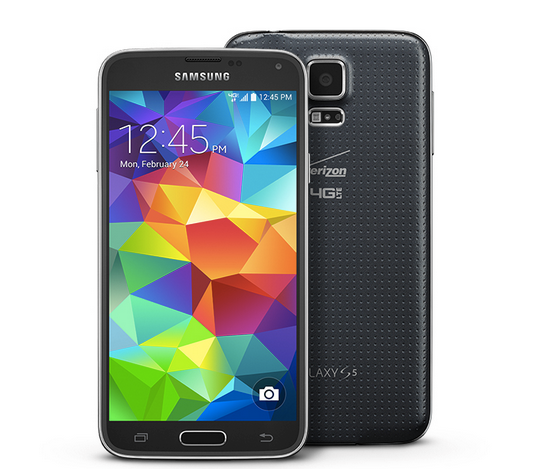 The Samsung Galaxy S5 on Verizon is getting an update... to Android 5.0 Lollipop. It's the first US variant to see the update. Weird! The software version will be VRU1BNLC with Android build number LRX21T. It will arrive as an OTA in the not too distant future, but expect the first stage of the rollout to be slow. Android 5.0 for Samsung devices still has TouchWiz, but there is a new lock screen, priority/none notification modes (for better or worse), ART, updated multitasking interface, and brighter colors throughout. This is the second time in recent months that Verizon rolled out an update faster than everyone else, the last one being the Moto X. 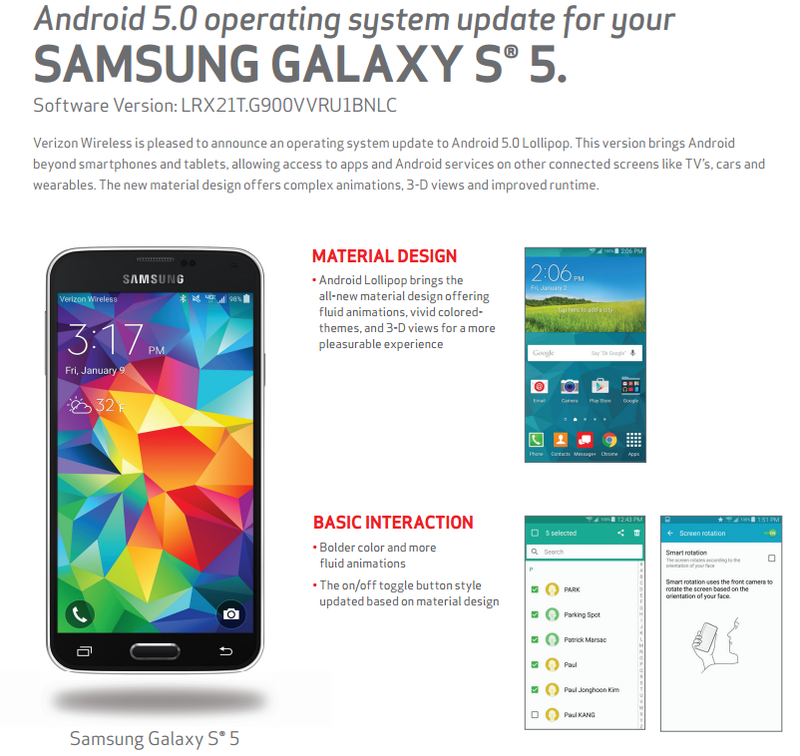 There were still some bugs with that update, but hopefully Samsung has ironed all that out on the GS5 now. It is unclear if mashing the update button in settings will do anything, but I doubt it.